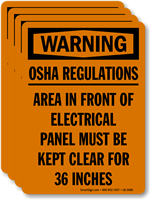 Make your facility inspection-ready! 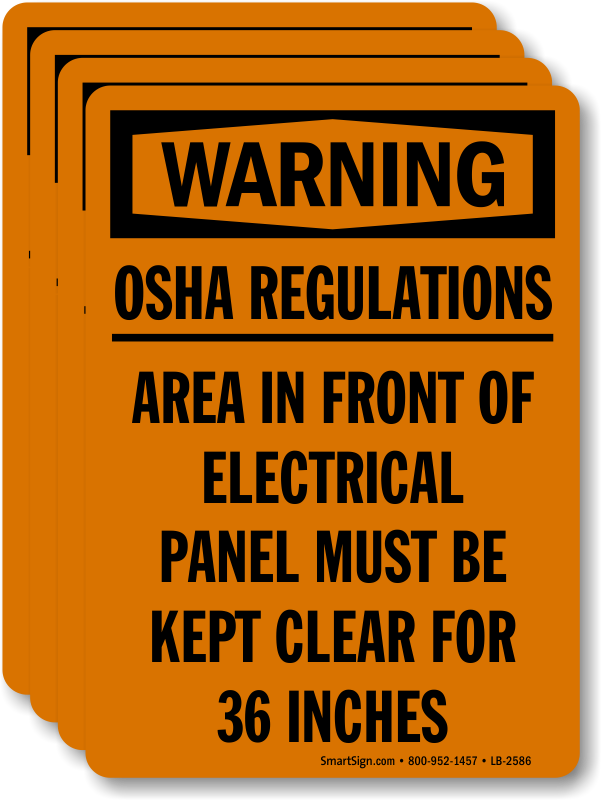 This Warning Label clearly states OSHA regulations to keep an open area near electrical panels. In vivid orange to grab attention.